My close friend, Laura Osnes, is a leading lady on Broadway who recently wrapped up her role as Cinderella. The dream of any Broadway star is to be part of an original cast and to work with a handpicked creative team made up of the very best, both newcomers and veterans. This conversation ran through my head when Ashery Lane Farms’ creative team asked if I would help bring a vision and brand new space to life. I felt as if I was asked to be part of the original cast and help couples in love dream about someday celebrating their wedding within these new walls. What an honor! Collaborating with some of the most talented wedding professionals out there, we were given the opportunity to create on a blank canvas. 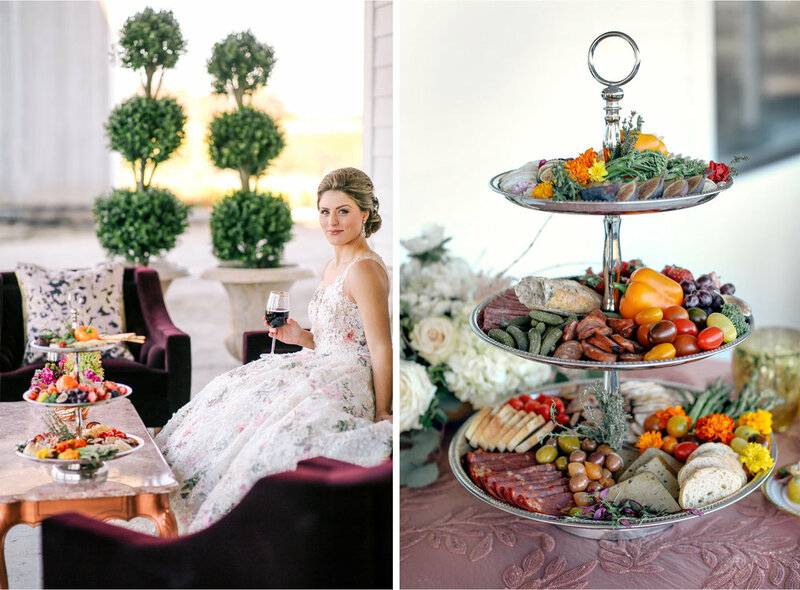 On the day of the styled shoot, we dodged machines rolling out sod, landscapers planting glorious foliage for winter, and workers putting together all the finishing touches. Then the stage was set and we were surrounded by an array of delicious food (that I definitely wanted to snack on! ), stunning table décor, pristine and stylish furniture, all dripping with lavish flower and greenery to make it feel warm and inviting. Then, a model friend joined the team and donned the most gorgeous and unique dresses I have seen. Luck was certainly with us as the late fall sun started to set and left us with the most beautiful golden light. It was truly a dream shoot! Want this to be your dream too? Well let me tell you a bit more about Ashery Lane Farm, because it’s definitely worth a visit! 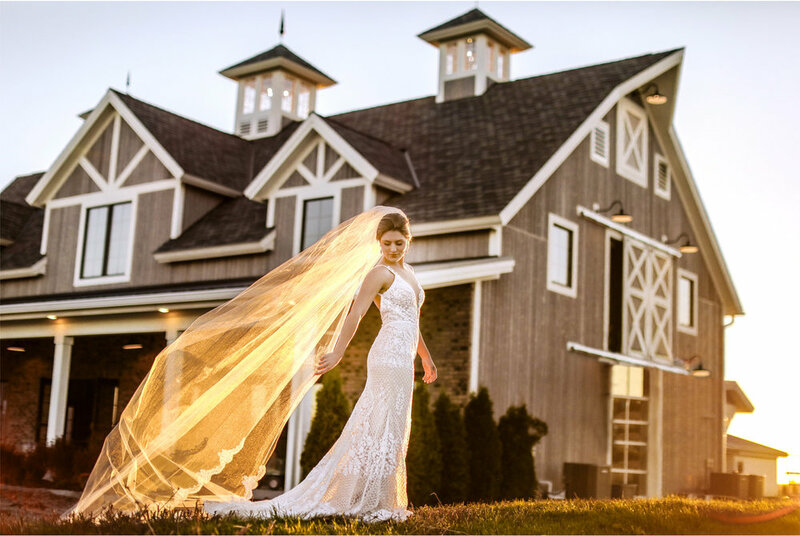 It is a brand new event space filled with modern amenities and personal touches, all housed in a beautiful barn set on a vineyard and apple orchard. Seriously, this venue is what dreams are made of! 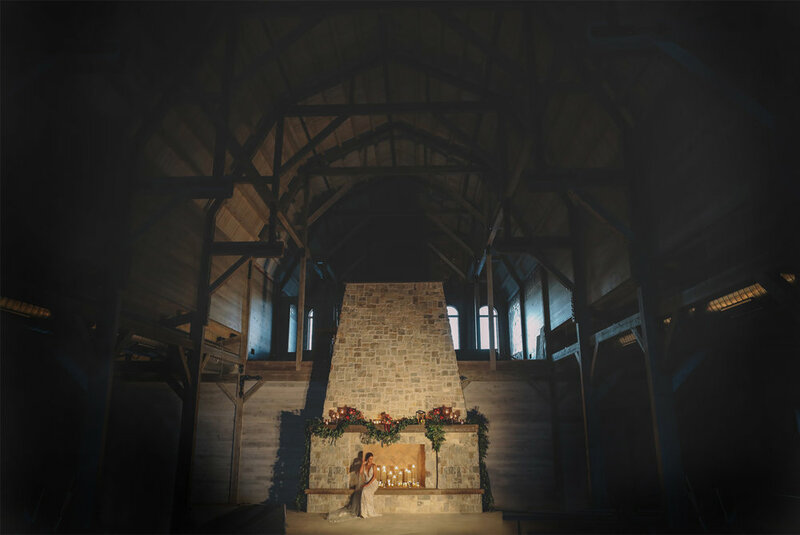 The property has two brand new barns on site complete with state of the art heating and cooling, a large bridal suite, and timbers that seem to reach to the treetops. There are also other unique spaces for groomsmen to gather and get ready, one with a large garage door overlooking the fields. Inspiration was pulled from southern architecture ad the concept of farmhouse modern, which gives it dramatic and personal charm. The family has owned the apple orchard on the grounds for many years and has recently planted and cultivated a vineyard. Best of all, the property was conveniently tucked only fifteen minutes from the west edge of Lake Minnetonka on a piece of land that seems to stretch out to the horizons as far as the eye can see. As we made our way around the estate we filled the air with laughter and the warm scent of apples and fresh red wine. I couldn’t help but imagine the spaces around the farm where first looks will take place, meaningful conversations with parents will happen, and standing in front of the grand hearth, I imagined every guest feeling cozy and grateful to be invited to the party of a lifetime. Thank you for inviting me to experience this beautiful new space, I can’t wait to fill it with laughter once again!